TLXOS is a small down loadable custom Linux based Operating System with minimal hardware requirements needing less than 1GB of RAM and less than 2GB of storage to deliver high performance Desktops using Citrix HDX, VMware Horizon Blast and Microsoft RDP / RemoteFX. Start your trial today by clicking on the Download Tab above, select a Download Mirror, click on the Version of TLXOS that you want to Trial. You should also download the ThinLinX Management Software (TMS) which is Free when used with any version of TLXOS. Many Raspberry Pi’s are shipped with a SD Card already installed with the NOOBS boot loader, TLXOS installation is now also available via the NOOBS boot loader. Just boot your RPi’s while tapping the Shift Key, select TLXOS from the OS List, click on install. During the installation the TLXOS installer automatically Registers the 30 Day Free Trial with the ThinLinX License Server, you must be connected to the Internet with a DHCP Server on the local Network for the Free Trial to successfully Register your device. ThinLinX has recently released a new much improved version 8.0.1 of TMS which has a corresponding 8.0.2 TLXOS client side which is already integrated into the current TLXOS 4.5.0 release. This allows access to all the new features of TMS 8.0.1. 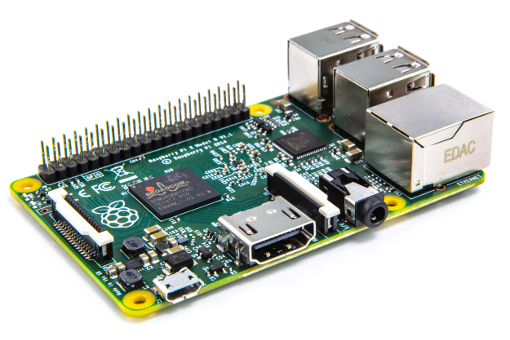 Download TLXOS for a 30 day Free trial, which is available now for the Raspberry Pi Zero, RPi1, RPi2, RPi3, RPi3A+, RPi3B+, RPi Compute Module 3, RPi Compute Module 1, Intel Small Form Factor devices such as the Intel NUC, Intel Compute Sticks, Gigabyte Brix, Re-Purpose PC or Laptop market, includes an easy to configure Octoblu Gateblu Internet of Things (IoT) Gateway. Between our Major releases such as above, Citrix and VMware often release updated versions of Citrix Receiver and VMware Horizon Client. ThinLinX creates updates which we call Hotfixes that allow our customers to install the latest Citrix Receiver, VMware Horizon clients, RDP clients and additional features from time to time. Dual screen capability is available via TLXOS for Intel Small Form Factor Devices and our x86 Re-Purpose PC & Laptop solution. A YouTube demo of the Dual Screen ThinLinX RPi solution is available below, this utilizes a US$5 or US$10 RPi Zero for the second display, this is available as a Hotfix now but unfortunately can not be released without Citrix’s permission as we use a single Citrix binary and a single Citrix .so library to provide the Citrix HDX Dual Display support. The RPi Zero boots and is powered over a single USB OTG cable which can be purchased anywhere for a few dollars. ThinLinX does not charge any extra for our Hotfixes, if you would like to see this fantastic ultra low cost Citrix Dual Display option for TLXOS available please contact Citrix and let them know that you want this low cost solution. One or Thousands of Thin Clients / Digital Signage / IoT devices can be managed and updated from one central location using the ThinLinX Management Software (TMS) which is available at no cost with any TLXOS License. All configuration information is stored locally on each Thin Client, and also in the TMS custom built in Database, the Thin Clients are managed via a secure SSL connection between the client and the PC running TMS. Thin Clients can be configured with the IP Address or Hostname of the system running TMS before shipping to any location in the World. The port number used for the SSL connection is also configurable allowing the Thin Clients to be visible and managed via TMS even when situated behind multiple Firewalls. 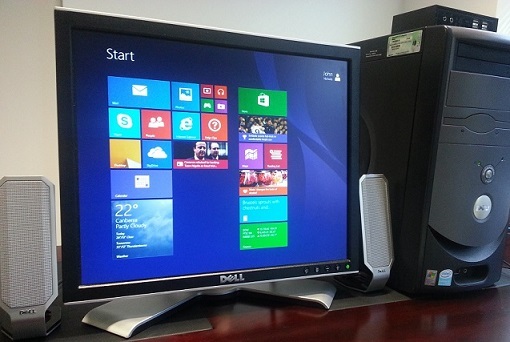 • Did I really see a $165 thin client doing 55fps with Borderlands 2 with HDX 3D Pro Citrix XenDesktop? • Citrix HDX Pi with 3D Workload – over 4G! 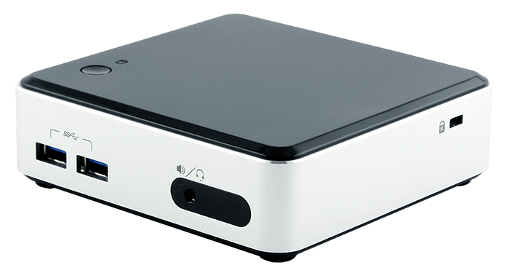 TLXOS Intel Small Form Factor is the result of many years R&D by ThinLinX, we have created a powerful Operating System that is highly optimized for the entire Intel NUC range. TLXOS also supports Intel NUC clones, Compute Sticks and Intel Inside variations such as the Gigabyte Brix. Outstanding performance, up to 60fps is achieved using the built in H.264 decoder mode on Citrix HDX, VMware Horizon & Microsoft RemoteFX 8.1. When loaded with the ThinLinX TLXOS Operating System the NUC range offers the end user with what we believe is the best Dual or Triple Screen, Price / Performance ratio for Thin Client or Digital Signage usage. TLXOS RPi is a variation of TLXOS for the Raspberry Pi 2 & 3, supports Citrix HDX H.264 & VMware Horizon Blast Extreme decode up to 60fps @ 1080p resolution. RemoteFX 8.1 H.264 decode coming soon, although TLXOS supports both the RPi 2 + 3 Models, we recommend the RPi3 for Thin Client usage. Many different Remote Desktop connection protocols are supported. Also integrated is a low cost Digital Signage and IoT solution, includes an easy to configure Octoblu Gateblu Internet of Things (IoT) Gateway. Either boot the RPi using the standard NOOBS bootloader while tapping the Shift Key, select TLXOS, click on Install OR Download the Rpi version of TLXOS from our Downloads page, run the .exe file on a Windows PC or Laptop to write the image to your MicroSD Card. After you write the image to a Micro SDCard, insert it into the RPi, boot up, it will partition and configure the card, automatically License the 30 Day Free Trial (The Rpi must be on a Network connected to the Internet for the 30 Day Free trial to be successful) You can Register (License) TLXOS either during the trial or after the Trial. Use TMS to License the Rpi, TMS -> Device -> Install -> Install License, enter the email address and password that you provided when you purchased a TLXOS RPi License at the ThinLinX online Store, you will see Product Licensed appear. If you License after the trial has expired you must then use TMS -> Device -> Commands -> Exit Maintenance mode, the RPi will reboot ready to use again. After initial TLXOS installation the RPi may boot up in a low resolution, use the TMS Display Icon, to set the resolution required. 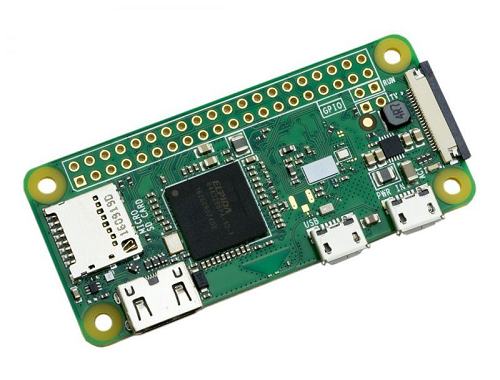 TLXOS ZERO is a variation of TLXOS for the “Raspberry Pi Zero” and the new “Raspberry Pi Zero W” supports Microsoft RDP, RemoteFX 8.1 H.264 decode coming soon, supports a number of different Remote Desktop connection protocols. The World’s lowest cost Digital Signage and IoT solution, includes an easy to configure Octoblu Gateblu Internet of Things (IoT) Gateway. Either boot the RPi Zero using the standard NOOBS bootloader while tapping the Shift Key, select TLXOS ZERO, click on Install OR Download the RPi Zero version of TLXOS from our Downloads page, run the .exe file on a Windows PC or Laptop to write the image to your MicroSD Card. After you write the image to a Micro SDCard, insert it into the RPi, boot up, it will partition and configure the card, automatically License the 30 Day Free Trial (The Rpi must be on a Network connected to the Internet for the 30 Day Free trial to be successful) You can Register (License) TLXOS either during the trial or after the Trial. Use TMS to License the Rpi, TMS -> Device -> Install -> Install License, enter the email address and password that you provided when you purchased a TLXOS RPi License at the ThinLinX online Store, you will see Product Registered appear. If you Register after the trial has expired you must then use TMS -> Device -> Commands -> Exit Maintenance mode, the RPi will reboot ready to use again. After initial TLXOS installation the RPi may boot up in a low resolution, use the TMS Display Icon, to set the resolution required.